I’ve been looking for some different projects to do. As quilters we often tend to pile up scraps and leftovers. I hate, hate, hate wasting these so I’m always looking for a quilting project that can be done well with scraps. Today there is a video tutorial on how to do the four color fruit slice quilt. 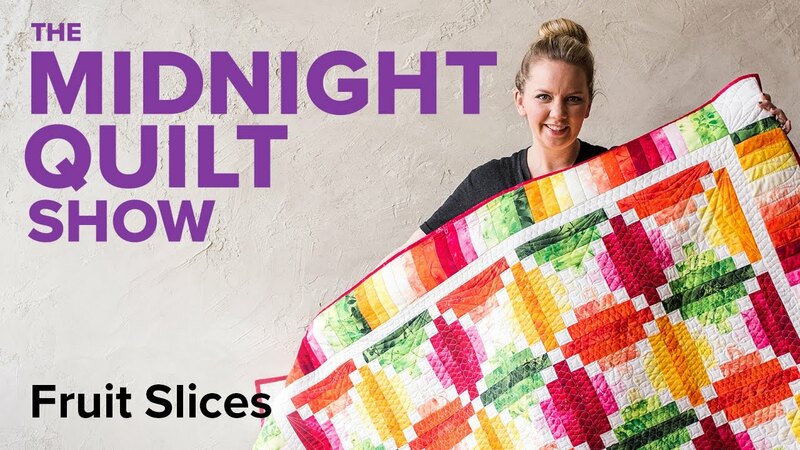 The four color fruit slice quilt is fairly simple so if there are any beginners out there, do not be afraid to give it a shot! This tutorial was brought to us by The Midnight Quilt Show by Craftsy and it is very instructional, as well as entertaining! The cool thing about this quilt is that is all strip piecing. Strip piecing makes up the blocks, borders, and sashing. The woman in the video also goes over how to use washy tape to stay on track with our measurements. Continue to the next page for the great tutorial.